Have you ever opened up your phone for the 100th time to dial someone and wished there was an easier way to quickly call them or send them a standard text message? Well one of our clients came up with a great idea that allows you to create phone short cuts by tapping or gesturing pre-set taps and gestures. Tap App for Android devices was conceived by Spark Innovations and we were delighted to help them bring their vision to life. With the Tap App you save time by creating customized short cuts for your favourite mobile activities. 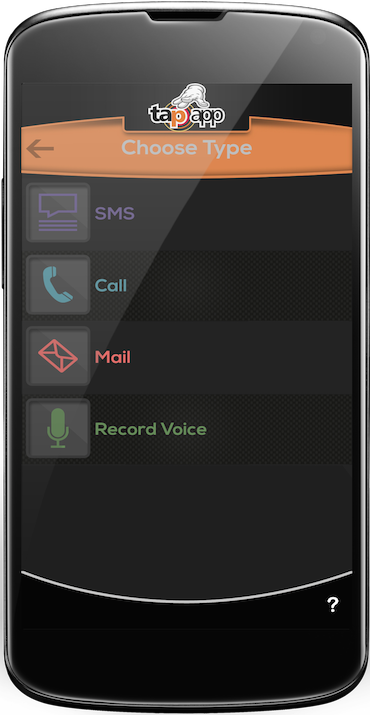 You can create your customized gestures (taps or patterns) and program these gestures to call or text someone, email someone, or even activate a voice recording. For example, you could program a heart shape to be your unique symbol to call your special someone. Or if you often find yourself texting “On my way home!” you could use a tap sequence to bypass the hassles of unlocking your phone, opening up your message centre, finding the contact in your phone and finally typing out and sending the message. 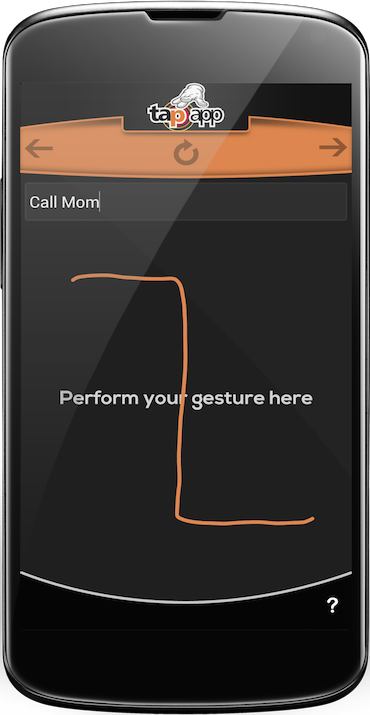 The app gives you the control to set your special gesture that will save you time! The cool thing about how Tap App was created is it is completely customized to the user. 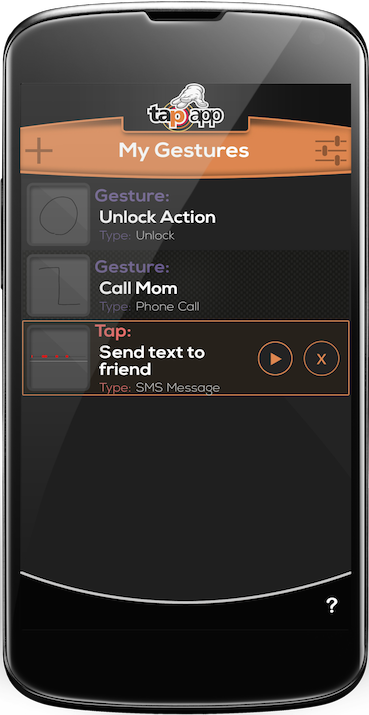 You set your own tap pattern or gesture and set a custom label which will be displayed whenever you perform the gesture. 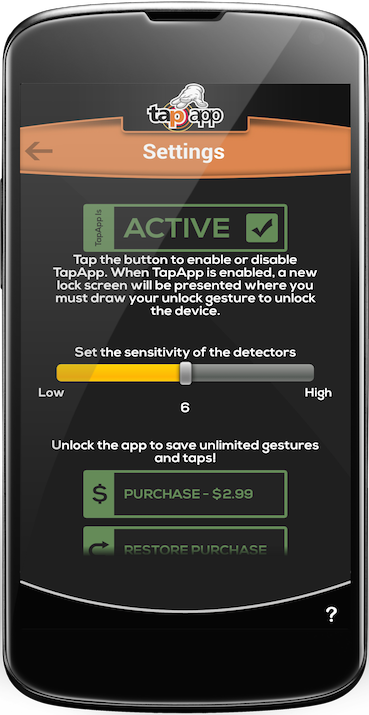 The app also allows you to set the level of accuracy that the gesture must be performed at, making it even more secure and customized. The app also has a guided tutorial that will take you through the app the first time and show you how to set up your gestures and taps. You can download the Tap App on the Google Play store HERE.